Today, Microsoft announced Satya Nadella as its new CEO, a 22-year veteran of the business and a true Insider. I wish him the best of luck and success. But is choosing an Insider as CEO good for a mature Microsoft or bad? I think its a bad call based on documented history of other mature companies and my own selfish (and very positive) wishes for the firm. I believe over the next decade computing will become even more ubiquitous and intelligence will become ambient. The coevolution of software and new hardware form factors will intermediate and digitize — many of the things we do and experience in business, life and our world. 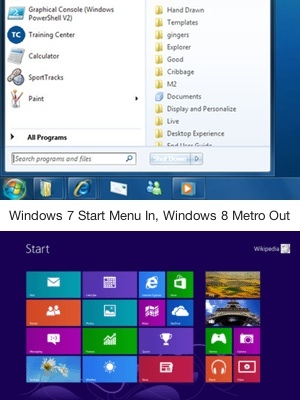 Bill Gates' “a PC on every desktop” was a far better start. Well, it is possible. I think the biggest reason an Insider is good for Microsoft is that the Microsoft customer has been happy with “The Microsoft Way” since Windows 95 and is loath to change. This has been proven by the measurable disaster that is Windows 8 Metro and Microsoft’s response in 8.2 bringing back the old ways. An Insider understands the Microsoft customer’s comfort zone and will work within these constraints, whereas an Outsider would likely challenge this status quo in order to assert their vision. The vast majority of Microsoft’s customers do not want change, nor, typically, do Insiders. On the other side of the business, Investors and Wall Street treat Microsoft as a blue-chip stock. They expect stable revenues, stable growth, stable product lines and a stable management team. An Insider delivers here too, an Outsider may shake things up too much. These folks too hate change. With an Insider at the helm, we’ll get more of the Microsoft same. And that, friends, is what Microsoft customers, users and investors want. And that could be good for Microsoft. In short: Insiders bring less change, and more customer comfort. Beige is safe. If you follow the five stages of business growth1 (Existence, Survival, Success, Take-Off and Resource Maturity), Microsoft has certainly hit maturity. 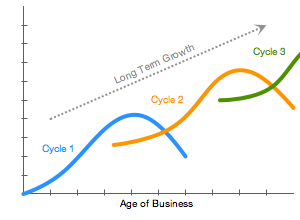 Which means it’s at the top, flat part of the S-curve where growth stagnates and begins to turn down (see Technology Life Cycle). If nothing is done, the business will slowly die, as lots of other companies have done in the past. 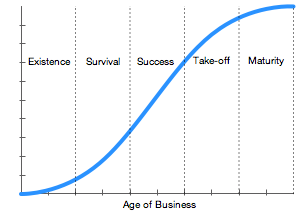 The only way to grow a mature business is to research and develop a new strategy or product-line and ride up a new S-curve. Insiders, traditionally, have been more worried about maintaining market share and existing product lines and are averse or blind to new strategies. This is not good for Microsoft. Outsiders bring new ideas, new research and the will to try new things. Usually they encourage and create the magical “innovation” thingamajig that creates new S-curves and grows businesses. Without this drive, Microsoft will slowly shrivel away. An Outsider also comes in without belief, history or baggage. An Insider commonly believes the internal Cargo Cult view of the business which is regularly different to reality. They carry the baggage of years of politics, inefficiencies and compromises that led to the current stagnation of the business. And they unintentionally wear blinders to the truth, faults and opportunities because these things do not appear in their limited field of vision. They are, after all, only human. Which is bad for Microsoft. An Outsider comes in with no such preconceptions, no history and fresh new ideas, no blinders. An Outsider can see the current business faults as their field of vision is not limited in any way. And they can, and are expected, to fix them. In short: Outsiders bring change, more growth and that is good for a mature business. Beige is boring, old and belongs in the past, time for a new color palette. Which will it be? Good or Bad? Will the new CEO try to squeeze the most out of the current S-curve, or grow new S-curves in spite of his Insider status? Will he have the insight to see beyond Insider blindness and then have courage and opportunity to research and chase new S-curves. And will the customer base, investor base and organization help or hinder? In my humble opinion, however, an Insider was the wrong choice. No matter how amazing Nadella is (and this author assumes he is seriously good), he carries Insider baggage, Insider views and Insider tendencies. And this will be bad for a large, mature business with no new S-curves to grow on, a lot of stable and falling S-curve businesses facing stiff competition, and a whole bunch of legacy customers and baggage to carry forward. Then again, I am not part of the Microsoft customer majority. I seek innovation and change and cool new technologies, not more of the same. I want Microsoft to change and grow and leverage the amazing talents it has. I want it to compete and shake up the status quo. I just don’t see an Insider making that happen. And thustly begins the end of Microsoft.